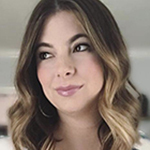 Elizabeth Friedland, who most recently served as senior director of global corporate communications at Indianapolis, IN-based Appirio, has formed a new agency, Nest Comms. Nest’s focus is on developing corporate communications strategies that link directly to a company’s key performance indicators, rather than relying on such stats as pass along rates or circulation numbers. The firm says that its strategies are centered around connecting communications directly to pipeline, sales, employee retention, customer acquisition and other KPIs that communications professionals tend to steer clear of. “When I looked around, I realized how difficult it was to find corporate communications leaders who could directly tie their success to a company’s bottom line,” Friedland said. 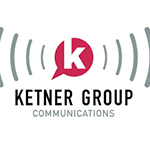 Austin, TX-based Ketner Group Communications, which serves clients in the U.S., Canada and the U.K., has opened an office in New York City. The New York City location is being led by Adrienne Newcomb, who will continue to lead key client accounts while developing new business and building a team of PR professionals. The expansion comes following a year in which the firm says it experienced 40 percent organic growth, adding six clients and nearly doubling its team. Ketner serves clients in the retail, e-commerce, grocery and CPG, advertising and marketing, social media and consumer technology sectors. The PR Council has brought on five minority-owned PR firms: Boden (Miami, Florida), The Boreland Group, Inc. (New York City), Egami Group (New York City), Fetch Integrated Marketing Communications (Chicago, IL) and Flowers Communications Group (Chicago, IL). The firms receive access to the PRC’s business-building, talent development and networking initiatives and are encouraged to participate in the committees and communities whose work helps to further the agenda of the council and the industry. The one-year fellowships were presented to firms that have been in operation for at least one year and have three or more practitioners.